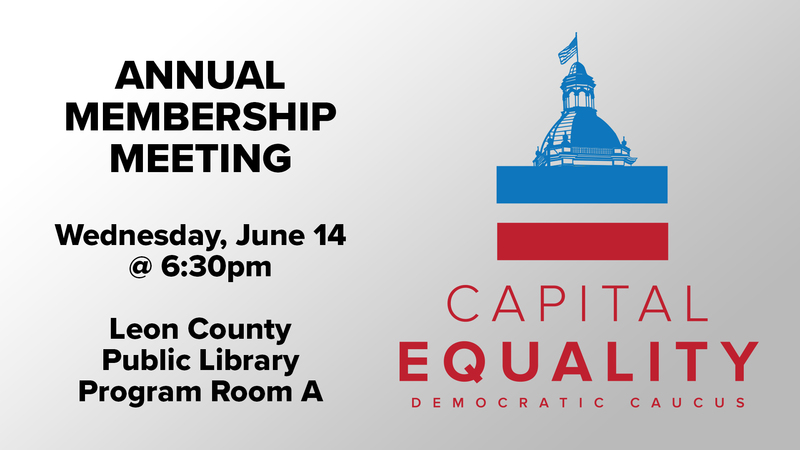 Join the Capital Equality Democratic Caucus for our annual membership meeting on Wednesday, June 14th, at 6:30pm. This is a great opportunity to learn more about our organization and how you can get involved to ensure that the LGBTQ community remains represented within local, state, and federal Democratic politics. Support the PARTY that supports YOUR FAMILY! The membership meeting will be held at the LeRoy Collins-Leon County Public Library, Program Room A, 200 W. Park Avenue, Tallahassee, and is open to all Democrats. Members will be electing officers for the upcoming year.